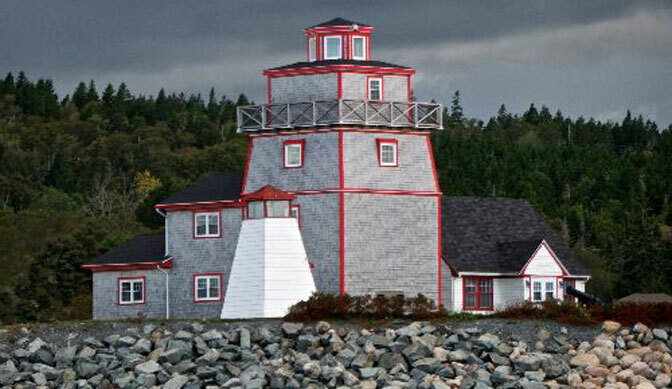 The museum is located in a former lighthouse keeper's cottage. The point is enriched by 400 years of history, starting with the arrival of Champlain in 1604 and followed by a French settlement established by the Lieutenant General and Viceroy of New France, Isaac de Razilly. This community museum is operated by the Lunenburg County Historical Society. Member Privileges: Participation in museum activities, receive newsletter, first to know of upcoming events, Picnic Area. It's a great site to have a picnic! The view on the point where the river and the ocean meet is amazing! You can also have access to Fort Point Beach where you can find 400 years old beach glass. Open: June 1 to September 30, Daily from 10:00am to 5:00pm. OR year round by appointment. Grounds open all year round.